Erin Gilbert (Wiig) and Abby Yates (McCarthy) are scientists who co-author a book claiming that ghosts are real, making them a joke in their respective fields. Gilbert manages to land a teaching position at Columbia University, but her book resurfaces and she is laughed out of academia. When ghosts start to appear in Manhattan with increasing frequency, though, the women realize that they could be facing an invasion. 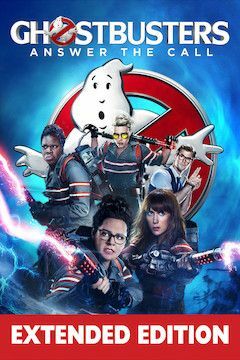 Reuniting, Erin and Abby team up with nuclear engineer Jillian Holtzmann (McKinnon) and a subway worker named Patty Tolan (Jones) in order to save their city. Together, they face a powerful demon known as Rowan (Casey), who who leads an army of ghosts and demons bent on taking over the city.